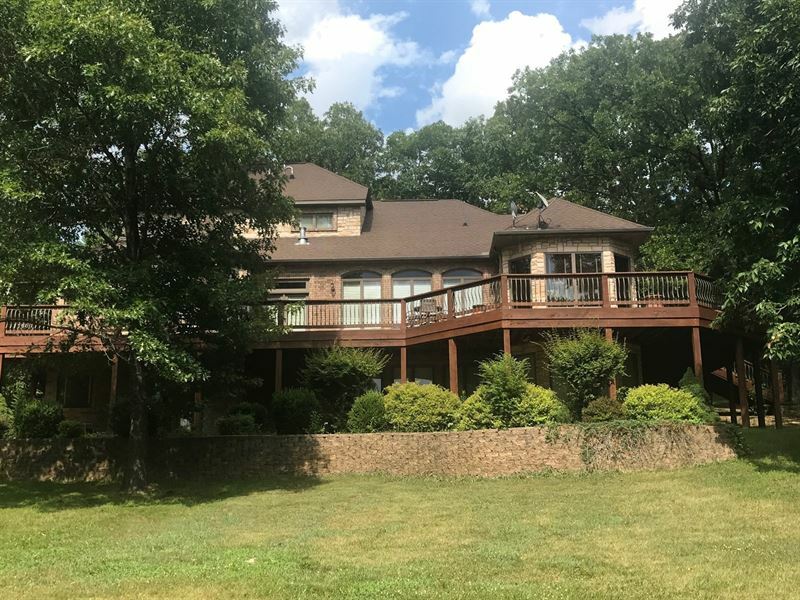 Luxury brick and stone contemporary home for sale in Willow Springs, MO, just minutes away from Mark Twain National Forest. From the stunning slate waterfall feature in the entryway to the private concrete taxiway leading from the 60 x 60 hangar to the airport landing strip with lights that can be turned on from your airplane or the hangar, this property is first class in every way. The custom features in this home include an amazing lighted circular staircase leading to the second floor and the lower level custom lighting in nearly every room a gourmet kitchen with an island, granite counter tops, and custom cabinets unique slate, hardwood, and tile floors coffered, tray, and barrel vaulted ceilings and custom built ins and murals. The elegant and spacious main floor master suite includes a large walk-in closet with auto lights, French doors leading to the patio, an en suite with a massive jetted soaker tub, walk-in tiled shower with two shower heads and a bench, and a vast double vanity. With a second kitchen in the lower level this would make a great bed and breakfast and there are no HOA dues. Willow Springs MO is a wonderful town in south central Missouri, home to a great school system and close to Missouri's many rivers, lakes, and recreation areas. Entertainment, shopping, and restaurants in Branson, MO are a two hour drive away or 20 minutes by air.